Antonio Brown may have gotten his wish, but future fantasy owners certainly didn't. The disgruntled wideout was shipped out of Pittsburgh after months of drama, ending up with the Oakland Raiders. He's getting a fresh start and a huge payday in the process, but he might not be the same weapon he once way. 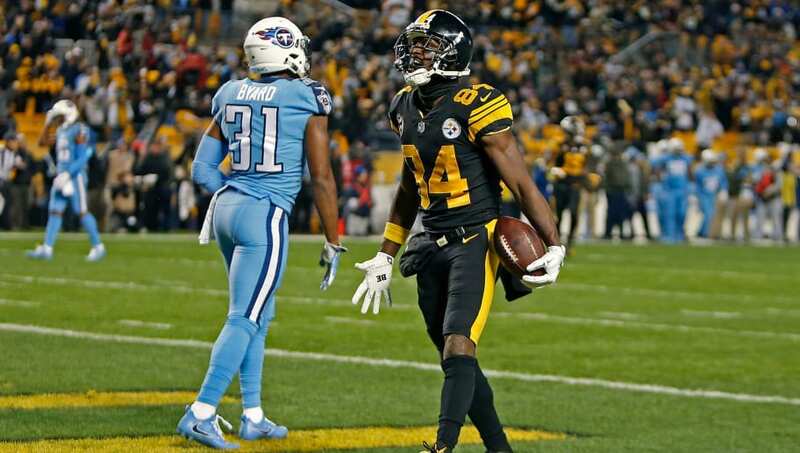 ​​AB's fantasy value definitely went down after going from the high-powered Steelers' offense to the lowly Raiders' attack. JuJu Smith-Shuster isn't the only one who is seeing his fantasy stock drop. Say what you want about Ben Roethlisberger, but he airs it out for Pittsburgh. The Steelers finished second in passing yards and fifth in passing touchdowns with one of the most dominant air attacks in the league last season. Brown was a big part of that, but you can't look at the Raiders' current situation and expect the same production. The Raiders finished 18th in passing yards and threw for just 19 touchdowns last season. That's only four more than Antonio Brown had by himself with the Steelers in 2018. Brown enters this offense as the only weapon currently on the Raiders. Derek Carr has struggled the last two seasons under center, the Raiders don't have much of a rushing game after finishing 25th in rushing yards last season, and they have few other receiving options with Jordy Nelson looking like a shell of his former self. Of course, the Raiders offseason isn't done and they're expected to add more playmakers on offense. But even if Brown does get the lion's share of the targets, it's going to be hard to match that same production. OAK had 556 pass attempts last season. PIT has averaged 625 over the last three years, with the single-season low being 590. Would expect Raiders to be more pass-heavy, but the point is AB has less room for error in target share. Needs a bump to get close to old fantasy value. Over the past four years, Antonio Brown has been drafted as a top-five fantasy wideout. This year, he might not be a Top 10 WR. Draft appropriately.